Another episode so soon? 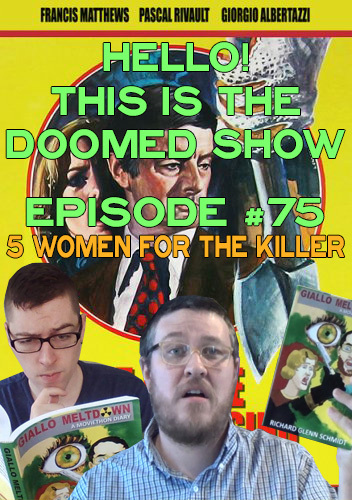 Well, you know, I gotta represent the giallo fandom especially with Giallo Meltdown: A Moviethon Diary running around on it's bookish legs. Jeffrey and I get up to our elbows in blood and J&B. Some comedy ensues when I accuse Jeffrey of picking this movie and then he accuses me of picking this movie! It's good podcast content let me tells ya. Check out the archived episodes. Buy the book here too!